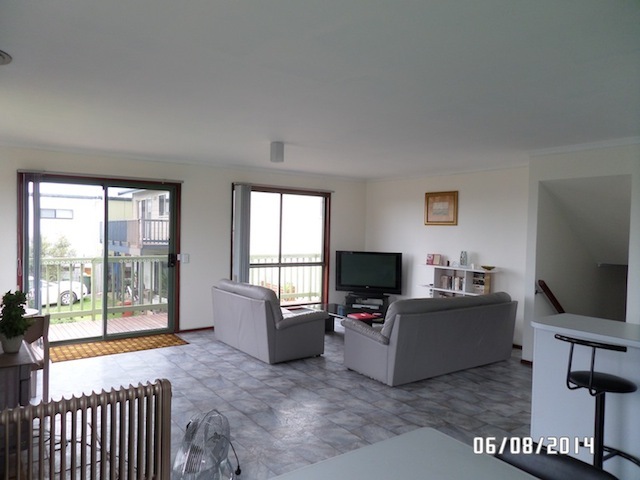 HOLIDAY RENTAL ONLY -3 minutes walk to the popular Woolamai Surf Beach and the Colonnades Rock pools. 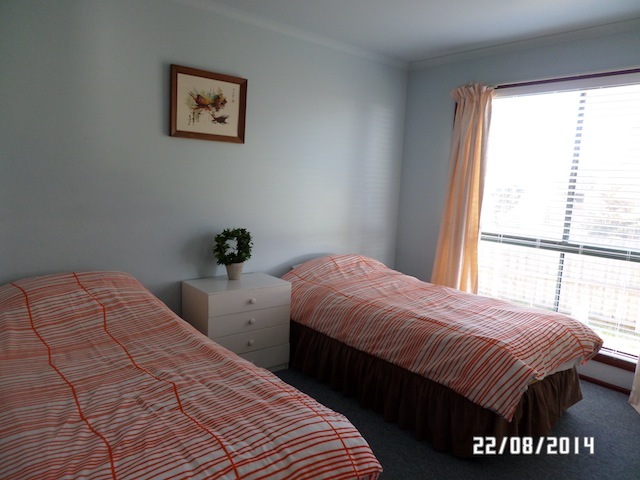 Just a hundred meters from bay beaches and lifesaving patrolled beaches with lovely cafes and shops all within walking distance, not forgetting the wineries and shopping and much more. 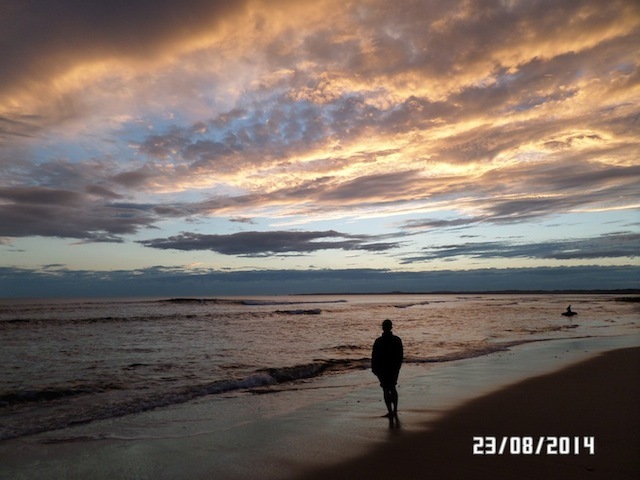 Also close to the National Park with amazing walking tracks, sand dunes and the bike tracks to San Remo bridge or Cowes. 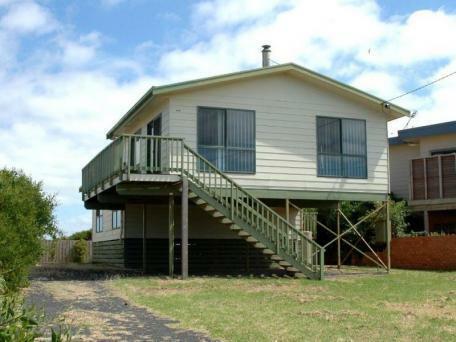 This 2 storey (2 Bedroom, 1 bathroom) home has an elevated position with a great view of Bass Strait. 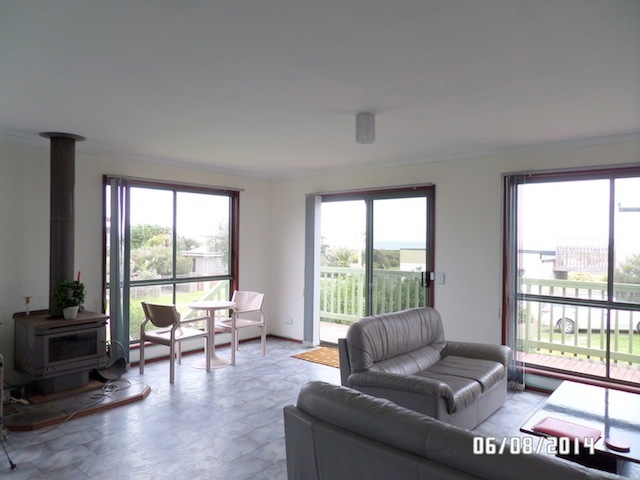 Enjoy the water views either from the comfort of your lounge room or sitting in the veranda. Light, bright and airy open plan kitchen, dining and lounge with wood fireplace and huge living areas with giant plasma TV in lounge, DVD player, cooking facilities and an abundance of books/magazines to while away the hours with. 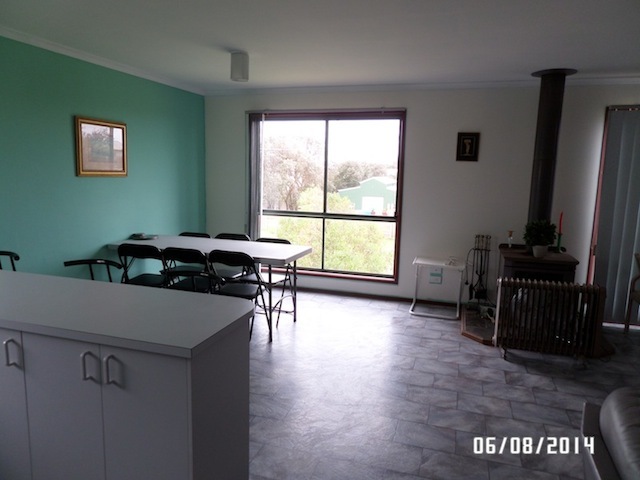 The kitchen is fully equipped with Fridge/Freezer, stove, oven, microwave, toaster, kettle and cutlery and crockery for 5 people. Laundry area have hand washing facilities. It has a carport and a long driveway that can accommodate boats and cars. 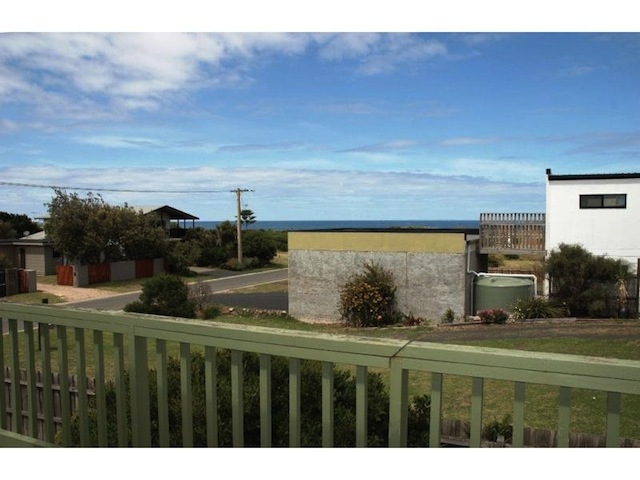 This place on a large block is perfect for those who love the 3 minute walk (only) to the surf beach. Located in a quiet street, it is very safe for children to walk to the beach without supervision. The large backyard has an enormous amount of space for the kids to run and play around in. 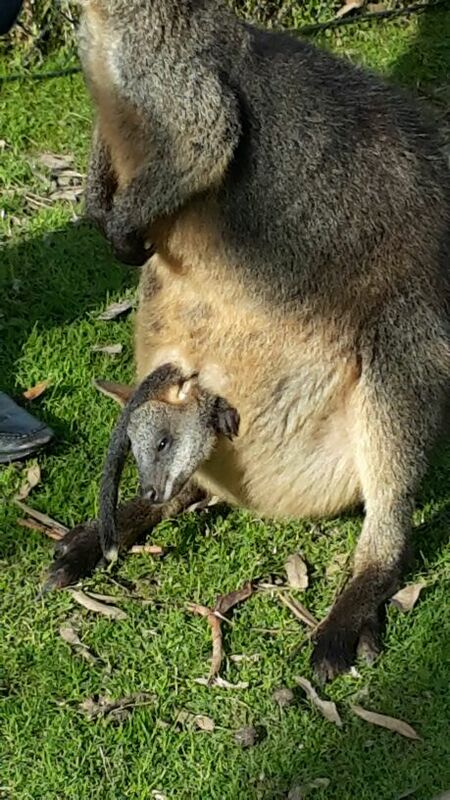 Backyard cricket is no problem here. 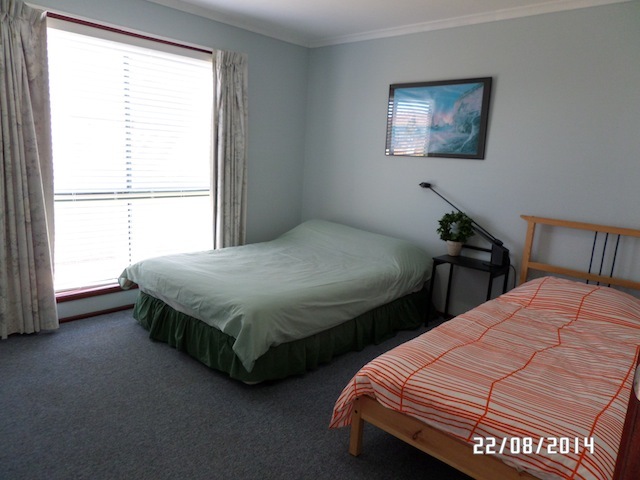 Please provide your own top and bottom sheets, (or Bottom sheets & doona covers), towels, bathmats, pillow cases and tea towel and personal toiletries. Starts at $100 to $190 per night. Minimum stay is 2 nights for low season and min stay 3 nights in high season such as Moto GP, V8 Super cars, Super Bikes, Easter Holidays. Minimum stay 5 nights for Dec & Jan holidays. Maximum:- 5 people. Extra charge of $20 per person per night may apply if more than 5 people. + Smoking inside the house is not permitted. 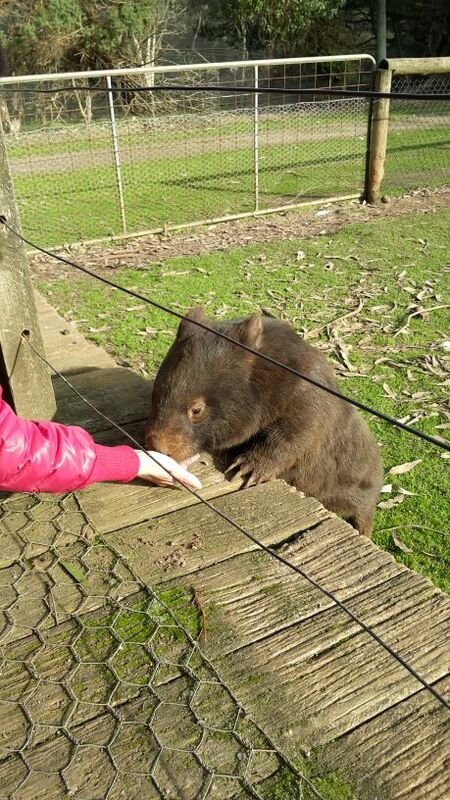 + Strictly NO PETS due to very bad allegy to animal’s fur. + A refundable bond is required. + Strict: 50% refund up to 1 week prior to arrival. Early check in/Late checkout is generally available at low season. Just ask us ! 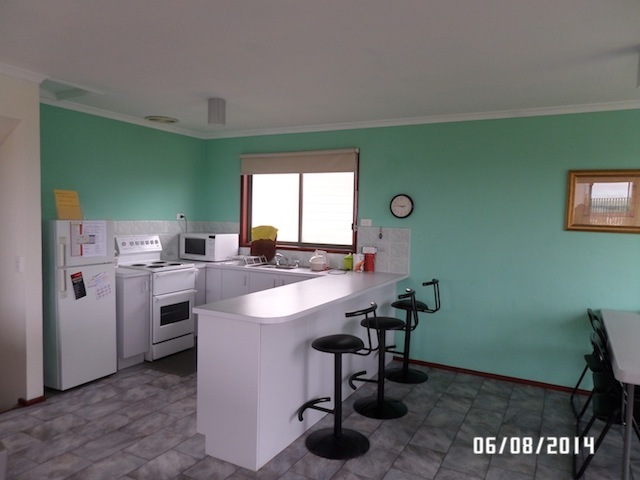 - 2 minutes drive or 10 minutes walk to the shops at Vista Place for supermarket & bottle shop, pizza, fish and chips, Indian, Dutchies Stone Grill, Gyros, Dr Food, Magiclands Bar & Cafe and Surf shop. - Close to Woolamai bus stops for major events such as Moto GP, V8 Super cars, Super Bikes & Tuff Mudda -the Premier Obstacle Course Series In The World. 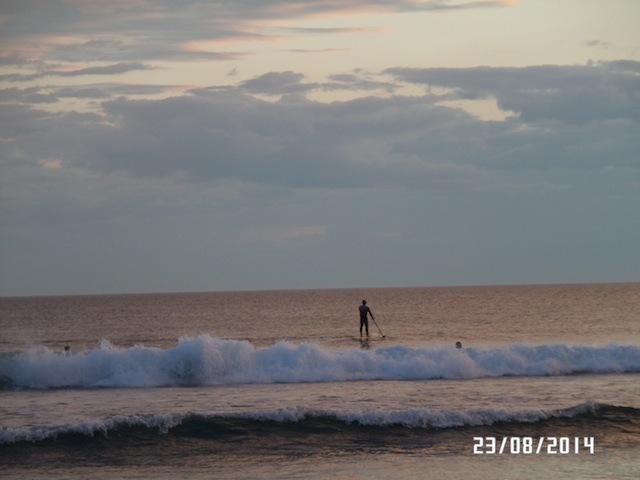 - Close to Woolamai Surf beach and Surf Club (patrolled during summer & club open for food and drinks). In 1959, farmland was subdivided into housing estates for beach shacks and holiday makers. 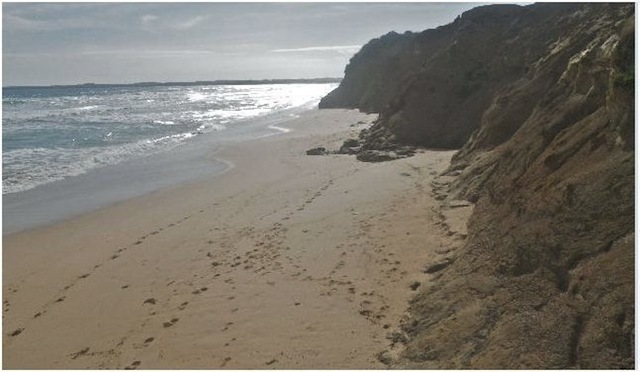 It was then named ‘ Woolamai Waters and Woolamai Waters West ‘, and later renamed ‘ Cape Woolamai ‘. 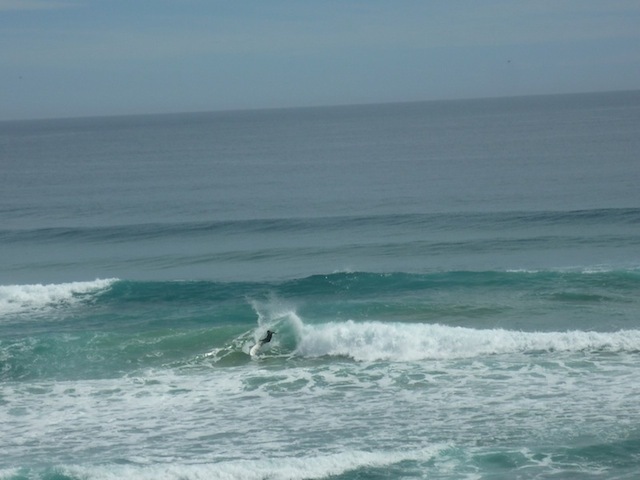 Today Cape Woolamai has a world-renowned surf beach, Woolamai Beach Surf Life Saving Club, and a popular Safety Beach. The Colonnades are unusual rock formation resembling organ pipes on the cliff face. It is best seen at low tide. Cape Woolamai is a National Park Coastal Reserve with amazing walking tracks including tracks to The Pinnacles, The Old Quarry and Magic Lands. 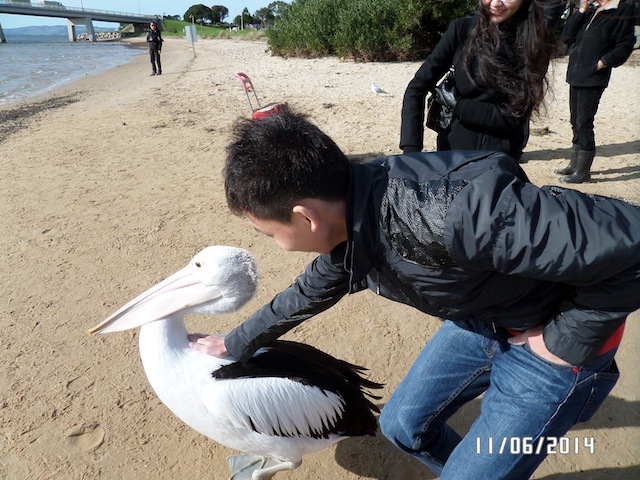 San Remo is a four minute drive with daily pelican feeding around midday.Beautiful beaches for great shell collecting and spectacular George Bass Coastal Walk along the cliffs to Kilcunda. We love to hear from you. Give us your feedback on this article. Leave us a comment by clicking on button below.